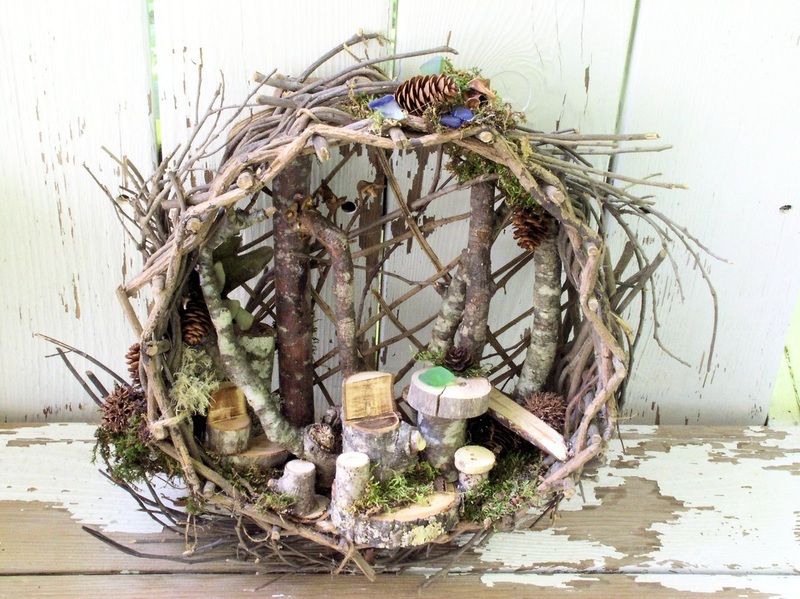 One of a kind Woodland Fairy House whimsical hanging basket fairy houses nature art by Laurie Rohner. ﻿SOLD Woodland Fairy House is one of a kind whimsical sculpted hanging basket fairy house. I altered this woven twig basket turned it on its side and placed branches in the back. Along the bottom is an enchanted magical fairy vignette with chairs cut from branches and stools by tables with moss and pine cones lichen and sea glass tucked in the nooks. 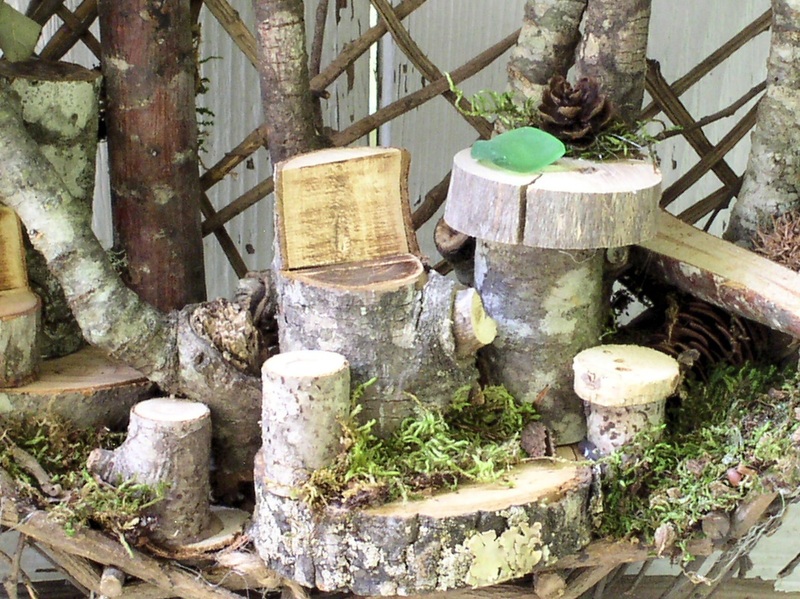 My woodland fairy vignette is a fun piece for any age. Sold Buy other Fairy House Here.